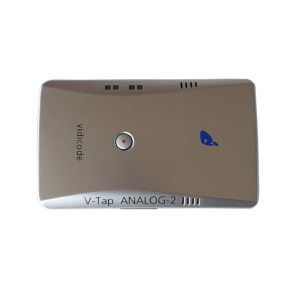 The V-Tap Analog is a hardware and software solution for the recording of telephone calls. 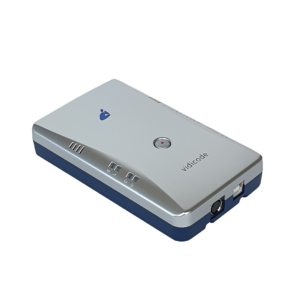 The supplied hardware unit can record the audio from an analog telephone line or any telephone that works with a cord-connected handset. 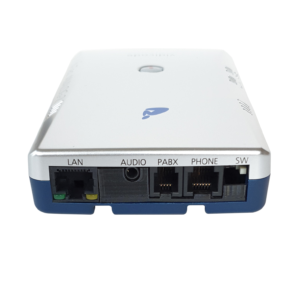 The recorded data is stored digitally onto an SD card and is sent optionally over the network, in which case the data is wrapped into a special Tunnel-format that can be received by the Call Recorder Apresa (running on Linux) or by the V-Archive software (running on a Windows PC). 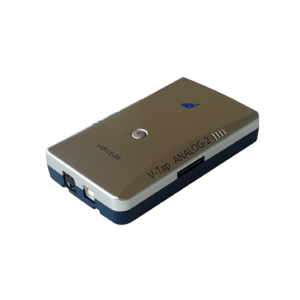 The external Apresa recorder or V-Archive software can both interpret the Tunnel-format and make playable audio files from it, together with the original date, time and call number information (meta data).